Credit repair, reform is on the way. Unfortunately like many industries credit repair has its fair share of questionable operators and as is often the way, the entire industry is often judged on the practices of a small group. 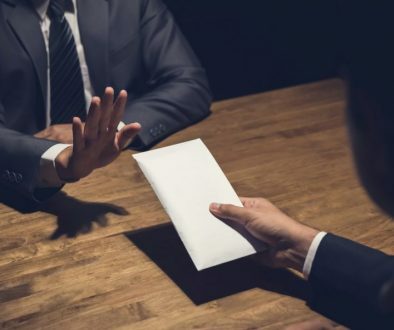 The dishonest conduct exercised by some has caught the attention of the Australian Securities & Investment Commission ASIC and it would appear that regulation may not be far away. A group of proactive members of the credit repair industry have attempted to self-regulate and improve the image of the industry by forming such bodies as the Credit Repair Institute of Australasia (CRIA). While the intentions of the CRIA are good and this most definitely a move in the right direction I feel true industry regulation will need to also involve an external organisation such as the ASIC. Having been involved with other industries that have moved from being unregulated to being regulated via the ASIC I feel that while the intentions of the ASIC are good there is always risk and inevitable frustration when a regulatory body tries to regulate an industry that it knows little about, the result is often over regulation and prohibitive barriers that effect not only questionable operators but also the “good guys” that have always attempted to put their clients first and operate in a honest and transparent manner. I feel that other than the behaviour of a small group, the current mistrust of the credit repair is due to a general misunderstanding of credit repair as an industry. While there are many that claim to understand the function of credit repair few actually do. While I supportive of regulation of the credit repair industry and the involvement of an external body such as the ASIC I am mindful that the approach of such regulation will need be administered in a well-researched manner and consultation sould be sought with industry leaders such as Clean Credit and the Credit Repair Institute of Australasia (CRIA). Having a good understanding of industry you are trying to regulate is critical and I would hope that the ASIC or other intending regulator would spend the necessary time researching prior to setting new policy. It is important to note that the desired outcome of regulation should be to protect the interests of consumers and provide clear operational expectations to operators. Sometimes when regulation is introduced to an industry there can be a fine line between this and stifling and prohibitive regulation that altimetry hurts the industry as a whole. What Types of Default Listings are There? What should my credit score be ?